My hair LOVES glycerin. LOVES. So does my wallet. I get a 100ml bottle from Pick n Pay for only R6 and that lasts me over a month. LOVE. My hair’s naturally very dry and after experimenting and researching different ingredients, I came across a whole bunch of articles highlighting the benefits of glycerin for the hair and body. Glycerin’s a widely used product and is already in many of our cosmetics and body products. 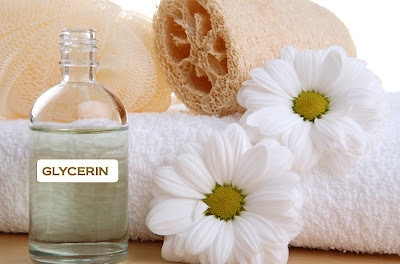 But in some hair products, glycerin is lacking or may only small amounts of it. If you like to make your products at home, as I do my daily spritz and your hair’s dry like the Sahara, adding oils as well as glycerin can make such a difference. That’s what I did and have never looked back. more humid months as it’ll draw moisture from the air into your hair. Some people advise against using glycerin during the winter and in drier climates because of this but I found that for me, I can use my daily spritz with glycerin throughout the year. I tried to stop during winter but my hair was dry, crunchy and just unhappy. So the glycerin returned. Of course, it’s up to you how much glycerin you use and how your hair reacts to it but Fro seems to be responding very well to my daily spritz being sprayed twice a day, everyday. My hair’s soft and bouncy and I know that the glycerin plays a big part in that. Next Post Protective Style Dilemma!